VERNON – Coldstream Ranch, east of Vernon, has sold 700 acres to Canada’s largest vegetable grower. Quebec-based VegPro International Inc. bought the south-facing site to grow baby greens for its Fresh Attitude brand of salad packs. The deal also gives it land to build a 72,000-square-foot processing and distribution facility that will allow VegPro to serve customers across Western Canada. “VegPro approached us because they thought it was the most suitable place in the province to grow their produce,” says Keith Balcaen, owner of Coldstream Ranch. Coldstream wasn’t actively marketing parcels of its 9,000-acre property. VegPro approached the ranch after a month of scouting properties from Vancouver Island to the Cariboo. “They couldn’t find anything with a big enough acreage that’s irrigated,” says Balcaen. With close to 6,000 acres on the East Coast in Quebec as well as Florida, VegPro has become a primary supplier of salads to Loblaws Companies Ltd. It also supplies Costco and Wal-Mart, all of which currently serve Western Canada with salad greens trucked in from California. “Growing in Canada and being a local producer was always top of their mind, and to do that they had to find an area where they would be able to grow,” says Jonathan Blais, a former senior relationship manager with Farm Credit Canada who joined VegPro at the end of October to oversee development of its Coldstream facility. “The Okanagan seemed to be the best area, with a lot of heat and minimal rain and access to water, and Coldstream Ranch was a great location because we were able to secure enough land to size this operation to where we wanted it to be,” says Blais. Construction of the packing plant and distribution facility begins this month. Approximately 200 acres will be planted this spring, with plans to grow production to more than 600 acres within three years. Ultimately, the vision calls for organic certification of the acreage. Production will occur between April and October. Rather than develop greenhouses for winter greens, produce for the packing plant will come from the US – either Washington or California. This echoes operations in Quebec, which touts an “East Coast Advantage” because greens aren’t shipped in from across the continent. “It makes more sense in terms of trucking because everything is about freshness,” says Blais. The project represents a $60 million investment by VegPro, a sum that covers the purchase price and development costs for the processing facility and farm. 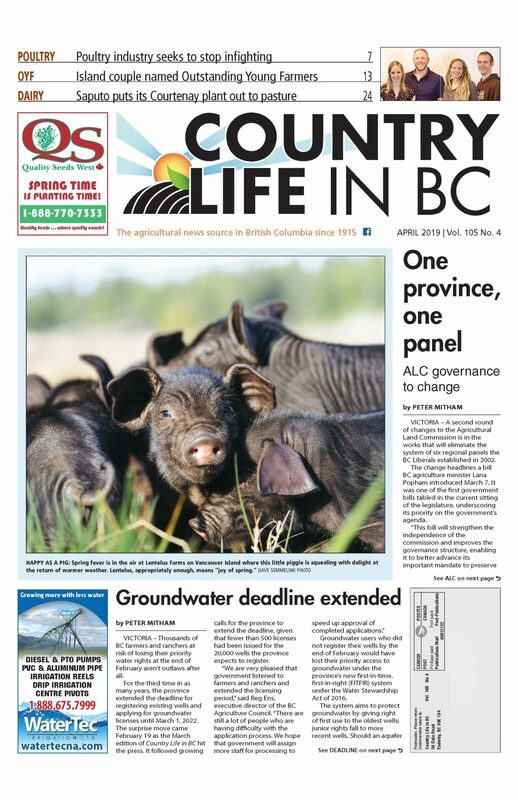 VegPro isn’t the first operation to expand to the BC Interior. Farm Credit Canada’s annual survey of farmland values points to lower land costs as a key factor drawing both existing and new entrants to central and northern BC. Several dairy operations from the Lower Mainland have expanded to the North Okanagan, while ranchers such as Blue Goose Cattle Co. of Toronto and Langley’s Central Park Farms have established herds in the Thompson-Okanagan. Coldstream Ranch itself acquired approximately 2,000 acres last year, which means the deal with VegPro won’t diminish its own holdings. “We’re really not shrinking at all,” says Balcaen. Coldstream will continue to run 2,400 cow-calf pairs across the 9,000 acres it owns as well as the million acres of Crown range it leases. It also operates a 5,000-head feedlot. By selling to VegPro, however, the ranch brings more land into production without distracting from its own focus. 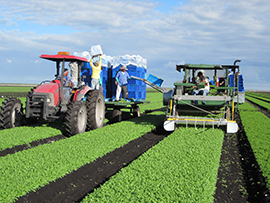 Previous deals saw tracts sold to orchardists Bill Sandher and David Geen but field vegetables represent diversification. Moreover, the processing plant will add up to 200 jobs and augment the local tax base.